And while the American author wasn’t directly referring to the work of a Kiwi start-up taking the world by storm, VMob CEO Scott Bradley is seeking a similar New York endorsement. 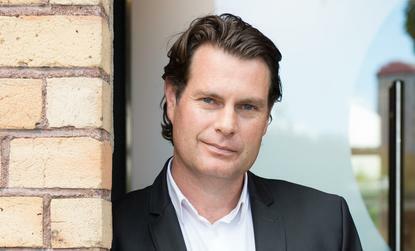 Speaking to Computerworld NZ from the company’s soon to be unveiled Lower Manhattan office in New York, Bradley says the Auckland-based mobile marketing business is accelerating its expansion into the US market earlier than expected, hence a decision to set up shop across the Pacific. “While our growth rate is well on track with where we planned it would be, we are moving quicker than originally planned,” says Bradley, who has based himself in New York to oversee the office opening, which is scheduled before Christmas. “This is largely to take advantage of some key opportunities that have developed in the US off the back of our success in other markets working with clients like McDonalds in Europe. Branded as a provider of mobile-centric campaign management software that delivers promotions and loyalty programmes, under Bradley’s guidance VMob has secured major deals with McDonalds and Esso in Europe, alongside Yellow, Loyalty and 2Degrees in New Zealand. Yet despite the company’s blossoming success, Bradley remains cautious when balancing sales growth with the growth in product and delivery. For Bradley however, who founded the company in 2010, it’s not just the size of the market which makes the US an attractive proposition for VMob, more so its maturity. “The core of our business is that we’re a Software as a Service (SaaS) company,” explains Bradley, who listed VMob on the NZ Stock Exchange in August 2012. “We’re not an app developer. “And although we do have an out of the box app that can be used for fast deployment if a retailer does not have their own app, our real sweet spot is when we can integrate into a retailer’s existing app and improve something that’s already working for them. With every one of the top 200 retailers having at least one smartphone app in the US, Bradley’s homework suggests it to be a viable market to operate in. But with maturer markets comes challenges, as well as increased competition. “We have developed a very lean and automated approach to sales and marketing,” says Bradley, alluding that it’s “a little bit of a case of eating our own dog food”. “This enables us to compete very cost effectively with even the largest of competitors in the US. “The flip side of increased competition is also that we have a much greater level of awareness around our product offering in the market place. Another key strategic advantage to having a presence in the US in Bradley’s eyes is the increasing value in integrating with other SaaS marketing, CRM and ERP systems such as Microsoft Dynamics, Oracle and SalesForce. In basing VMob in Lower Manhattan, Bradley says the strategic decision allows the business to be within close proximity of a large number of major retailer head offices as well as their respective agencies. “A Manhattan location is particularly important to us in attracting the right type of talent as well as having easy access to our clients and prospects,” adds Bradley, who has engaged a recruitment company along with New Zealand Trade and Enterprise to help recruit staff. Expecting the office to be formally opening within the next few months, Bradley is currently recruiting for a VP of Sales, responsible for the day to day operations in the US and reporting back to head office in New Zealand. But while the notion of a VP of Sales in America reporting back to company headquarters in New Zealand is rare, proud Kiwi Bradley has no intentions of following protocol. In making his mark in the Big Apple, Bradley and VMob’s New York endorsement is an endorsement shared by many, propelling the New Zealand ICT space into the minds of millions.